Can there be a common definition of sustainable development? Views on sustainable development range from those of the mainstream economist to the hardened environmentalist – via many shades of green. 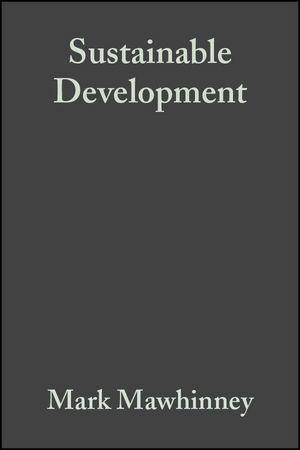 This book offers a clear overview of the debates and sets out the various theories, providing an accessible introduction for all who now need to understand how sustainable development affects their working practices. Does it define a starting point, a process, or the end-goal? Can it provide a coherent theory? Is it a workable concept in practice? Is it ‘balanced’ or does ‘balance’ form part of the solution? Mark Mawhinney explores the various strands of thought that claim to define sustainable development - as a concept, a theory or as a set of principles. He also highlights gaps in understanding that often arise and attempts to break down the barriers to a common understanding - redefining current concepts in terms that will help to progress the debate on sustainable development. Mark Mawhinney was Director of the Sustainable Cities Research Institute at the University of Northumbria at Newcastle. He is a former DETR Branch Head in international construction and is currently working with a partnership of universities and public bodies on the develpment of practices to allow new innovative businesses to grow and sustain themselves.